Reception sponsored by Crestron and CONTENT Architecture. This event will feature a book lecture by Dietmar Froelich on his new book The Chameleon Effect, a two-part scientifically researched history of the mutual influence of architecture and film. Architecture and film have many things in common. Film narratives are embedded in scenes that visually support the story. Sometimes architecture even performs the role of an actor. Conversely, film with its multifaceted, changing atmospheres reveals new layers of architecture which, outside the cinema, would remain concealed. 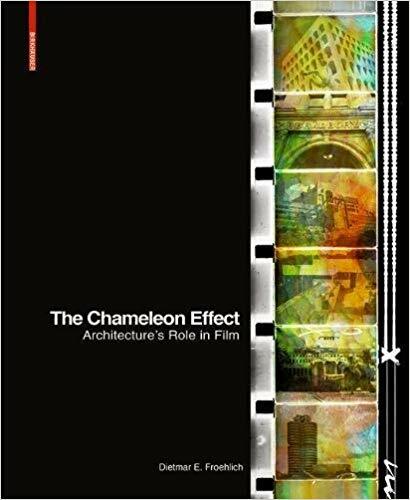 Dietmar Froelich’s new book The Chameleon Effect offers a two-part scientifically researched history of the mutual influence of architecture and film. Part one follows filmography as a typology of well-known film sets through to the description of the chameleon effect between film and architecture, while part two deals with the cultural impact of film and a brief outlook on the future of architecture and film in the era of Virtual Reality.